Find Alpine’s Lehi, Utah center in the north end of Utah County along US-89, west of the I-15 freeway. Thirty-five years ago, Alpine began business in this location and has continued to provide Utah homes with the best fireplace appliances and services available. Alpine is the Best … for 4 years in a Row!!! Alpine is proud to be the recipient of the 2011 Best of Utah Valley Award for the Best Fireplace Store in the Valley. With our two locations, in Lehi and Orem, we pride ourselves on being able to service all of Utah County. From these showrooms, we also service many customers from Carbon and Wasatch Counties. As an award that is chosen by the customer, we are especially proud that we are recognized for the wide variety of products and services we offer, the high quality of people we employ, and the high level of customer satisfaction we achieve. Winning the award once is accomplishment enough, but this makes the 4th year in a row that Alpine has received the top award in our category. Our customers must believe we are doing something right. Alpine is committed to continue our high level of service and performance. Started in Utah Valley in 1977, we are proud to be almost 35 years in the business and still going strong. We know that we have to earn the respect and appreciation of our customers every day and are committed to improving and doing even better in the future. Alpine’s Motto, “So Nice to Come Home To…” was chosen with care, because we believe that our products will make your life more enjoyable, more fulfilling, and even “Nicer to Come Home To…”. Alpine’s Southwest Idaho location is in the center of the Treasure Valley, in Meridian, Idaho. This location is convenient to I-84 and right off Franklin Road. From it, we service all of Southwestern Idaho, including the Boise and Nampa areas, the McCall corridor, the Mountain Home and Twin Falls areas, and the Sun Valley, Hailey, and Ketchum area. With our offices in Utah, we are also able to service eastern Idaho and western Wyoming. Our extensive showroom has over 30 units on display, including wood, pellet, and gas appliances. We are open weekdays from 10:00 a.m. to 6:00 p.m. and and on Saturday from 10:00 a.m. to 5:00 p.m. Closed Sunday. As a source for over 20 different brands of fireplaces, including our proprietary Alpine brand, we have selections to fit any type of project you can imagine. And, being a manufacturer, we can customize to fit your designs. 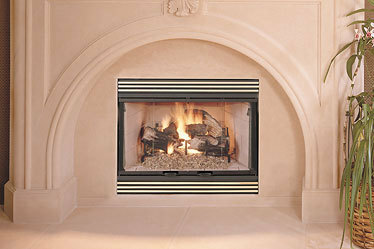 We also offer service on most makes of fireplaces and we service and install the products we sell. 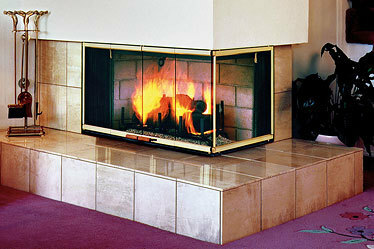 You will enjoy your experience of having Alpine Fireplaces become your fireplace expert. We make it “So Nice To Come Home To”! 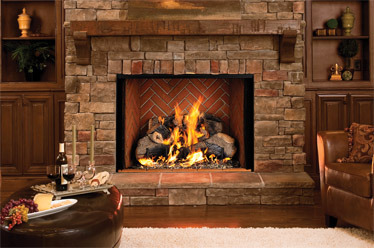 Weekdays – 10:00 a.m. to 6:00 p.m.
Alpine Fireplaces has been serving builders and homeowners in Utah, Idaho, Nevada and Wyoming for over 35 years. We specialize in serving customers and their needs… whatever they may be. Being Utah’s only fireplace manufacturer allows us to customize products to fit your needs. As Utah’s largest fireplace and stove supplier we offer a perfect solution for your needs; combined with the products that work in our climate. Come see the many displays that will aid in your design. Click on the links and see how many different products we have that will surely fit your needs. Remember, the fireplace is the heart of the home, and we want to help you make your home “So Nice to Come Home To”.